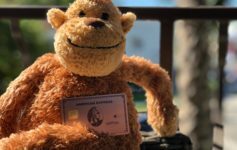 Over the past few weeks there have been rumors circulating that the Citi Prestige card is being pulled on August 18th, 2018. These rumors have ranged from a total cancellation to just recently, with a confirmation from Citi, that the Prestige was not being cancelled, but rather retooled. Whatever that means. In terms of Citi Thank You cards, I currently hold a Citi Prestige and a Citi Preferred card ( downgraded from a Citi Premier when I picked up my Prestige). 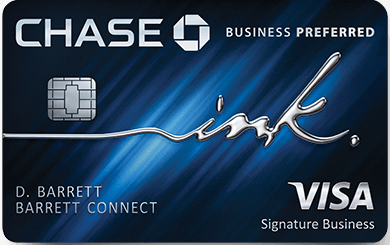 I haven’t applied or cancelled a Citi Thank You card in the past 24 months so I qualify for the new Citi Thank You Premier 60k offer, but I’m holding off. We have no idea what the new Prestige may be. It could warrant a product change from the current version I have, or depending on the welcome offer and benefits, I may be inclined to sign up again if it’s considered a different product, or downgrade my current Prestige to a Premier, enjoy those benefits, and submit an entirely independent application for the new Citi Prestige or whatever they may call it. We’ll know sooner than later, and I’m in no rush to apply, but that’s my thinking. Citi imposes restrictions on sign up bonuses to once per card family per 24 months. We have such limit information, but historically, Citi went as high as a 75k public offer on the Prestige. I’d like to see what may be happening before pulling any triggers. Want to know about Citi application rules? Check out this post where we go into detail. Next Article Confirmed: 15k bonus points with Four Seasons gift cards. In all likelihood the Prestige retooling will come with a 50k signup bonus. So compared with option of getting Premier now, you will be paying net $200 for 10k less points (or some other amount if they change airline credit). Your best hope is 75k, so in that case you are buying 15k for $200. I think you are making a bad gamble. You already have a Prestige, you won’t miss out on any improved benefits, so I don’t understand what you are holding out for. Take the free money that is Premier 60k no AF. Fair point, I forgot about double dipping the $250 airline credit. However, you can’t assume that this will even be possible post revamp. In the survey last year they asked about consumer preferences that revolved around changes to 4NF as well as the travel credit. It’s fair to say these two are the mostly costly benefits to them, and they will be looking to reduce the costs from them. Making the airline credit by cardmember year would be an easy win for them. I also think it is very likely that they will pull the Premier offer with the Prestige revamp launch. They seem to usually only offer a bonus on one or the other. I say one in the hand is worth two in the bush. 60k no AF is in my estimation a higher present value than the sum of the possibilities of the post-revamp Prestige, especially considering you already have one like me, so the other benefits are worthless. per Creditkarma, my prestige opened on 08/02/2016. any advice on when is safe to apply to the Premier card?